Tesla’s stock has begun to spiral, even before the release of its highly anticipated Model 3. The stock dropped 7.2 percent to $327.09, its lowest level in more than a month. Tesla reigned atop all U.S. automakers for almost three months before the drop. As The New York Times reports, Tesla announced battery manufacturing problems had hindered production, even as big announcements on preparations for the highly anticipated Model 3’s assembly were being made. Despite the declining stock, the company is still excited about the upcoming release. With the latest model, Tesla is supposed to make the electric car an option for every car buyer, with a price range more in line with mass market vehicles. But more trouble came with a strike against Tesla from the Insurance Institute for Highway Safety (IIHS). CNET reports how crash tests of the S model cast doubts on the safety superiority of the automaker. 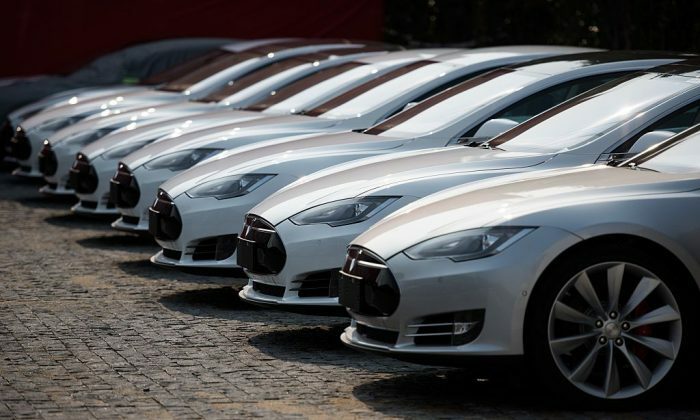 The reports show the Lincoln Continental, Mercedes-Benz E-Class, Toyota Avalon all besting the Model S. Tesla has touted its cars as the safest in history, and sent a scathing reply that the allegiance of insurance companies that the crash test company makes the results biased. The car safety organization said it shared results with Tesla about the crash test dummy’s head hitting the steering wheel through the air bag in initial tests. After modifications, IIHS still said the car didn’t correct the issue with the small-overlap front crash test, resulting in no Top Safety Pick+ award. The results put the Model S in league with the Chevrolet Impala and Ford Taurus. What makes the results even more poignant is last year’s autopilot crash that killed a driver trying to test the limits of Tesla’s auto-driving safety system by taking his hands off the wheel and not looking at the road. Tesla was released from any wrongdoing after reports indicated the driver ignored warnings to replace his hands. Tesla stated that the safety system and the driver couldn’t tell the difference between the bright sky and the white truck that the car crashed into. Tesla is planning to start Model 3 production on July 7, getting the first 30 cars out by July 28. CEO Elon Musk also stated via Twitter that he plans to get 100 cars out in August, and then more than 15,000 out in September. In all of 2016, Tesla produced 85,000 vehicles. For contrast, General Motors produced 9 million vehicles. Musk is betting his newest car can increase appeal and bring the company in line with contenders’ offerings in terms of convenience and price. The $35,000 starting price of the Model 3 immediately turns it into an option for car buyers not looking to pay luxury prices. A federal tax credit to reward electric vehicle owners could drive the price down even more. And though the car will go 215 miles on a charge, the company will make things even easier for people with less access to charging stations by rolling out a mobile fleet of service trucks. Musk expressed confidence that by December he’ll be producing 20,000 cars a month, and will only raise those numbers going forward. Musk has already partly fulfilled his promise on the popularity of the vehicle. Close to 500,000 people are on the waiting list, so those who reserve now will have to wait until some time next year to get a vehicle. Tesla may have to wait until consumers have had a chance to actually drive the new model for a while before stocks might make another jump to dominance.